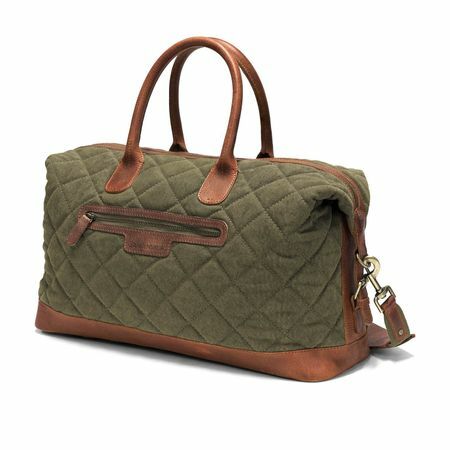 VINTAGE-DESIGN DUFFEL BAG: A classic medium-sized duffel bag for trips of up to 3-4 days. 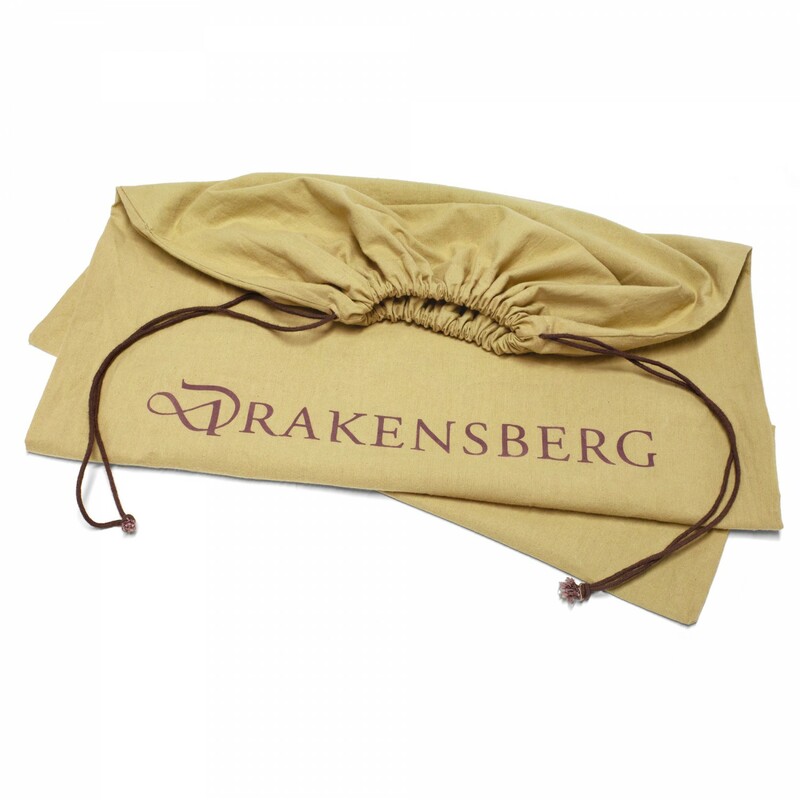 It is also perfect as a gym bag, beach bag, or hand luggage. 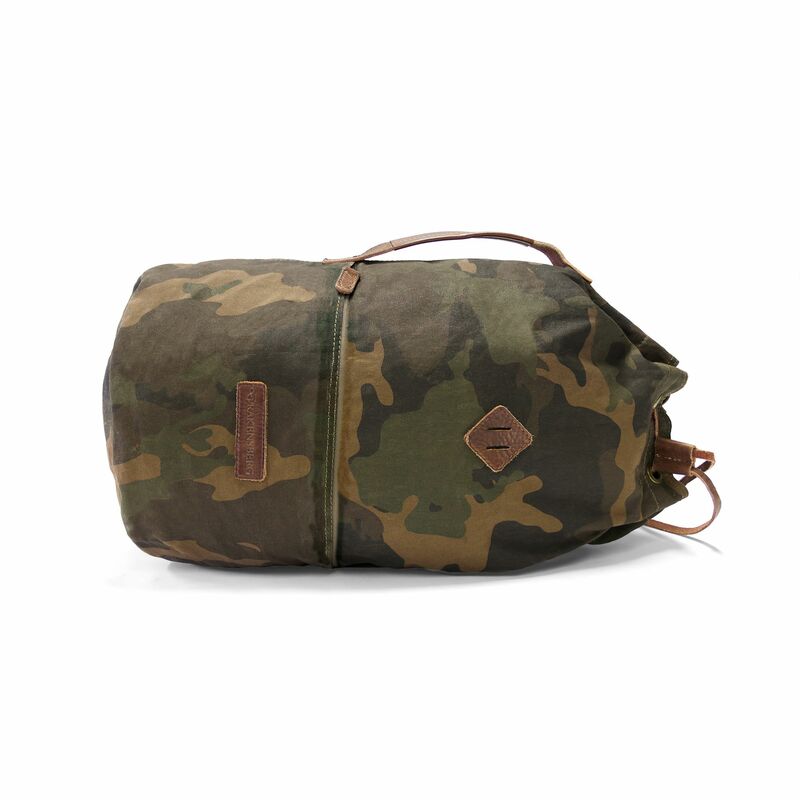 WATER_REPELLENT, LIGHTWEIGHT & ROBUST: The duffel bag is made of waxed canvas nylon and strong Italian vachetta leather. 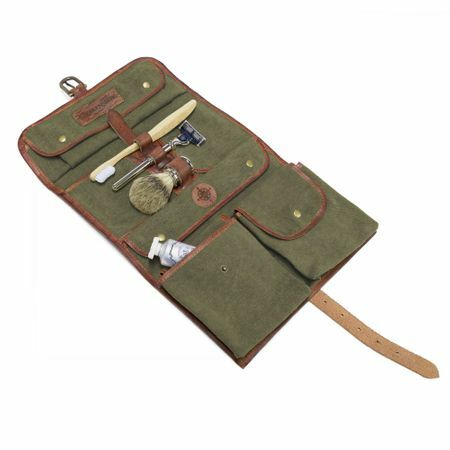 ADJUSTABLE SHOULDER STRAP: The strap can be adjusted in length to fit the owner’s size. COMPARTMENTS & DETAILS: INSIDE: 1 open compartment for valuables – OUTSIDE: 1 zip compartment. 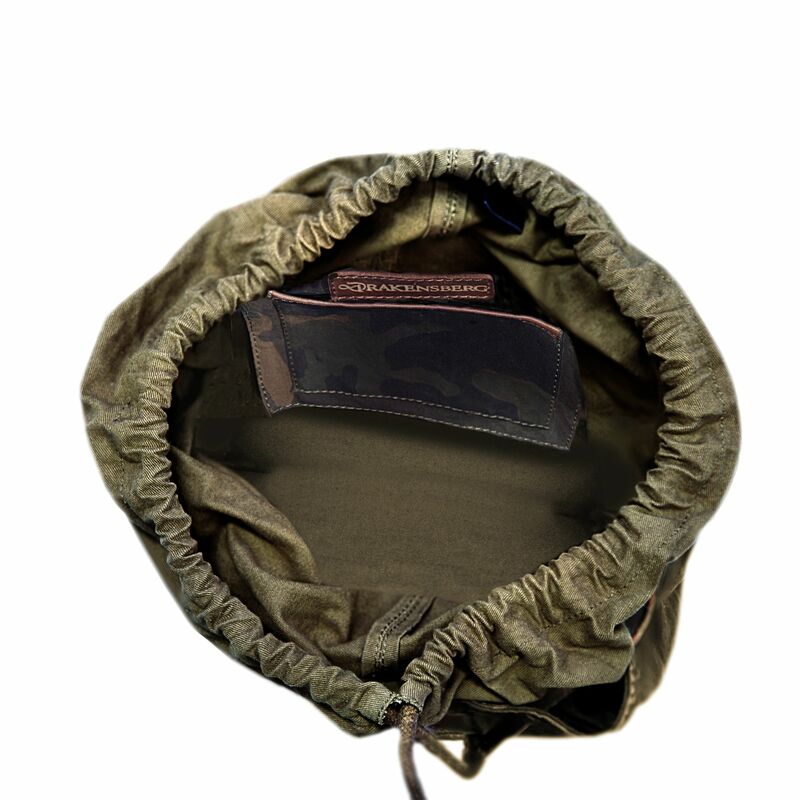 The duffel bag closes with a drawstring. 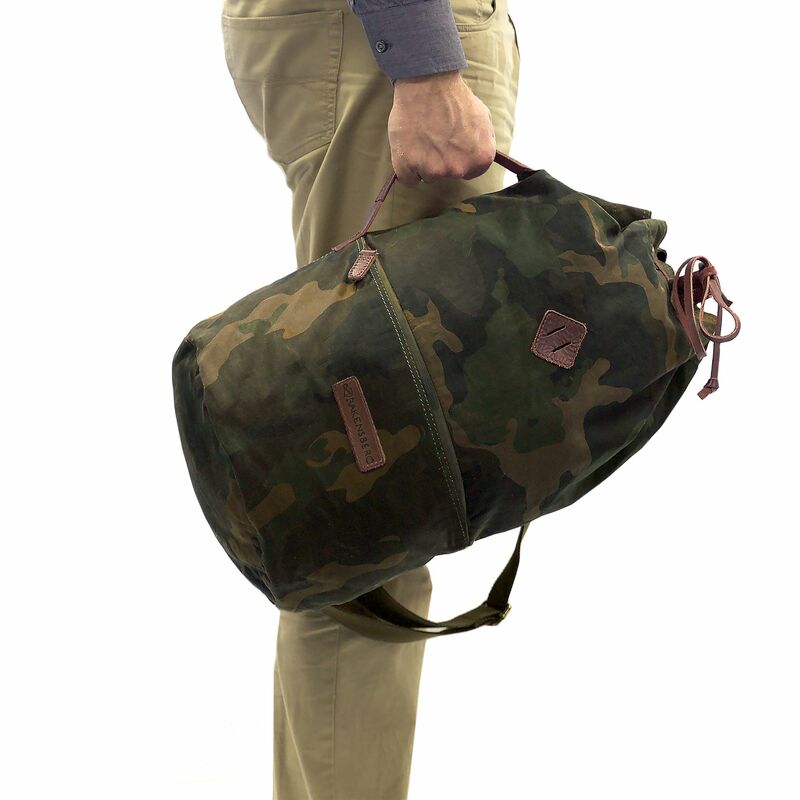 The duffel bag is marked by top-quality finish. All wear-and-tear points are hemmed with leather. In addition, the backpack is reinforced in all stress points. The shoulder strap is adjustable in length. 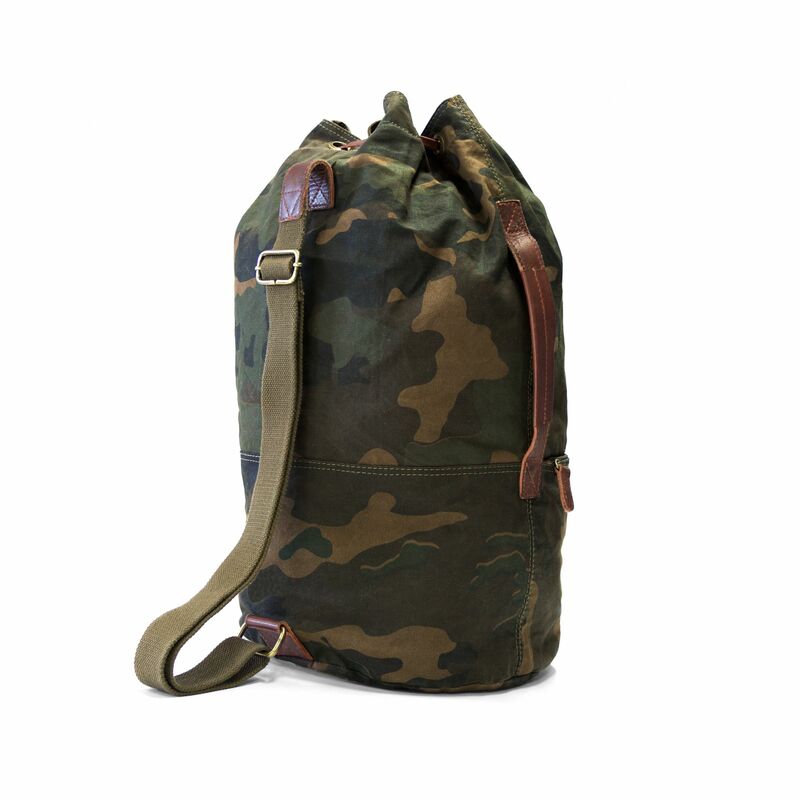 A classic medium-sized duffel bag for trips of up to 3-4 days. 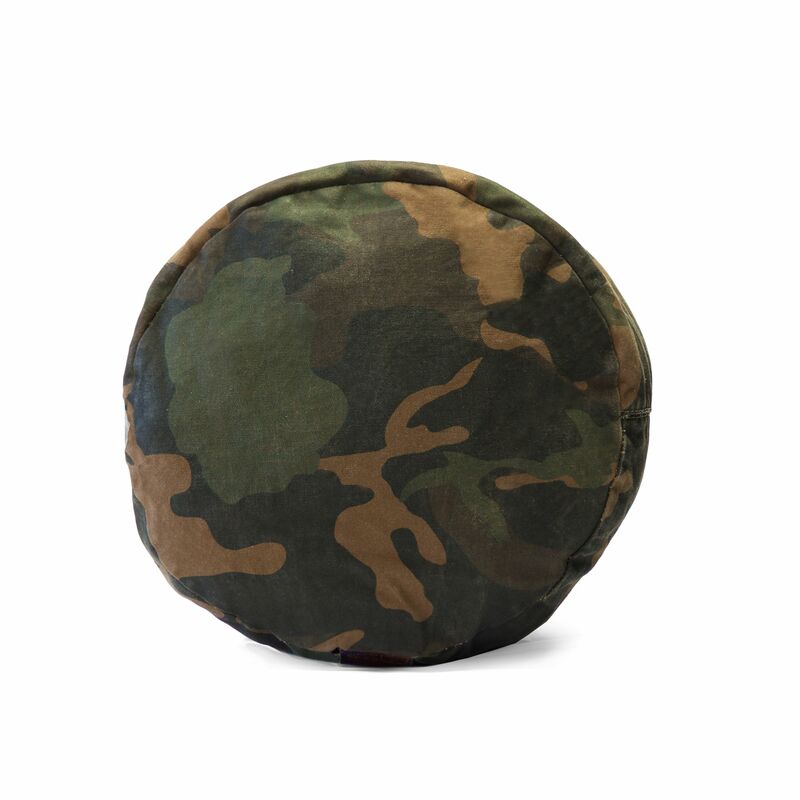 It is also perfect as a gym bag, beach bag, or hand luggage. 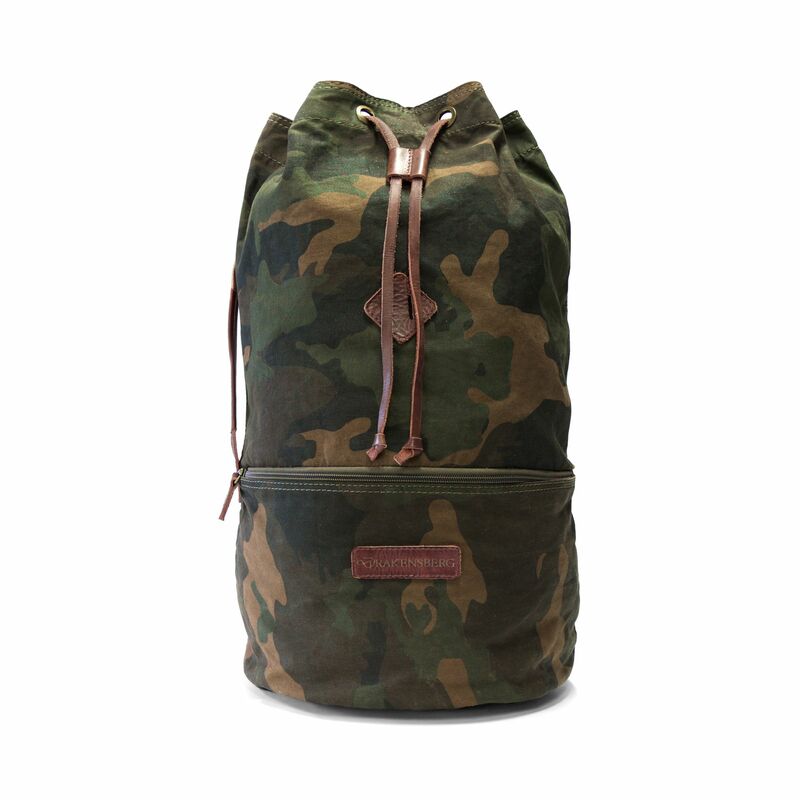 The duffel bag is made of waxed canvas nylon and strong Italian vachetta leather. The strap can be adjusted in length to fit the owner’s size. OUTSIDE: 1 zip compartment. 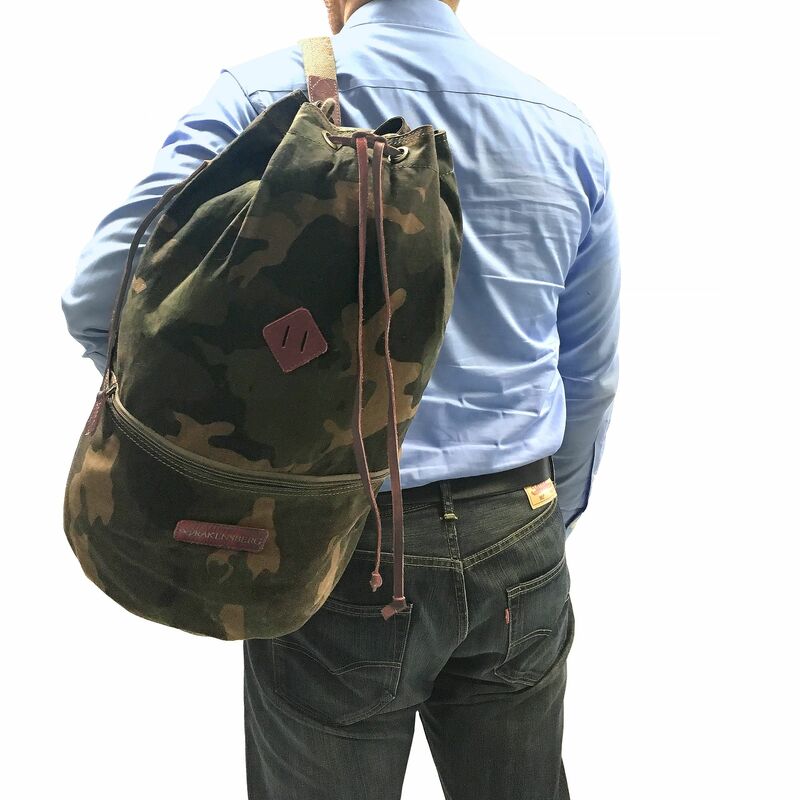 The duffel bag closes with a drawstring. 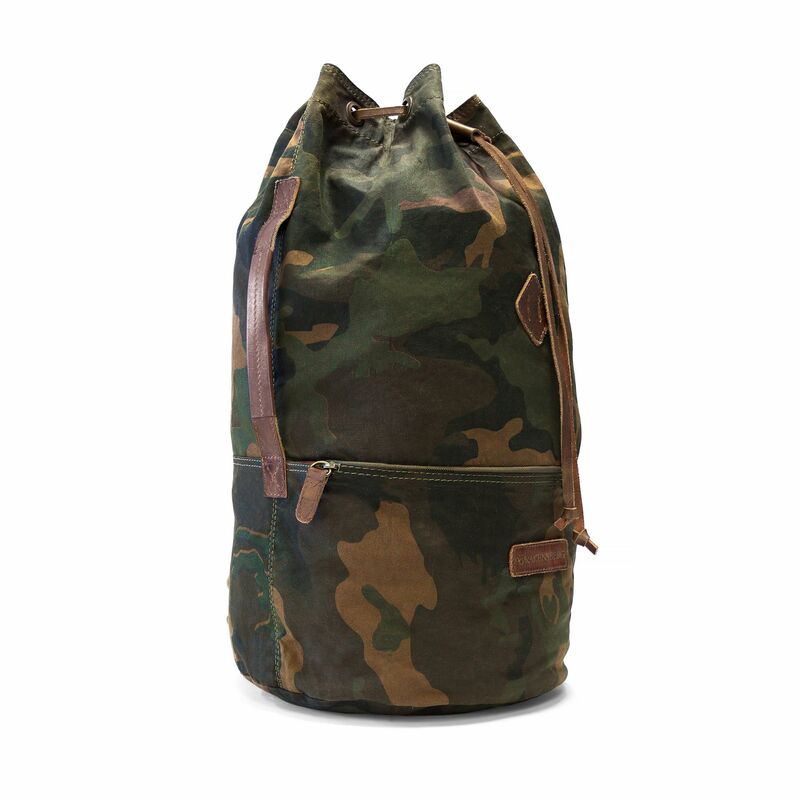 There is no rating for KIMBERLEY - Light Duffel Bag - Camo.